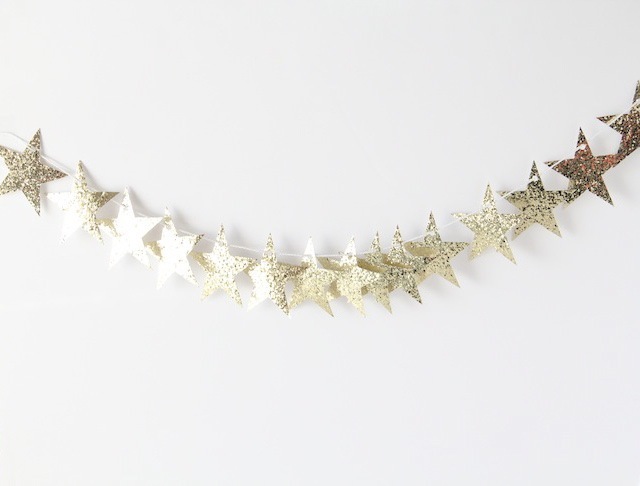 Whether you are throwing a lavish and glitzy Oscars party this year or not, this glittery gold star garland is too fun to resist! 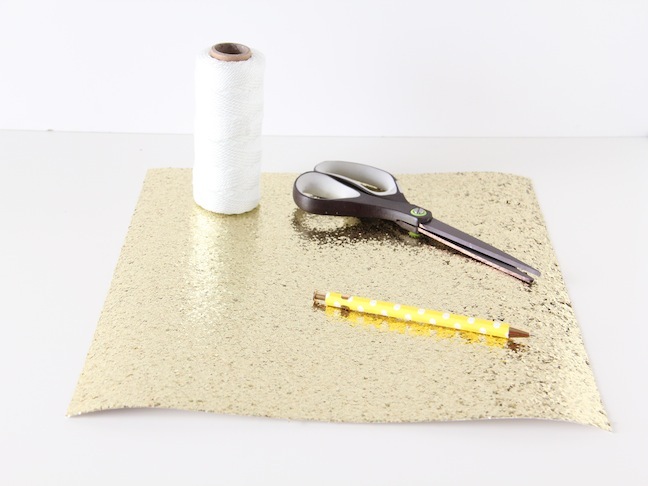 All you need is a few minutes and a handful of supplies, and your home will look snazzy in no time! 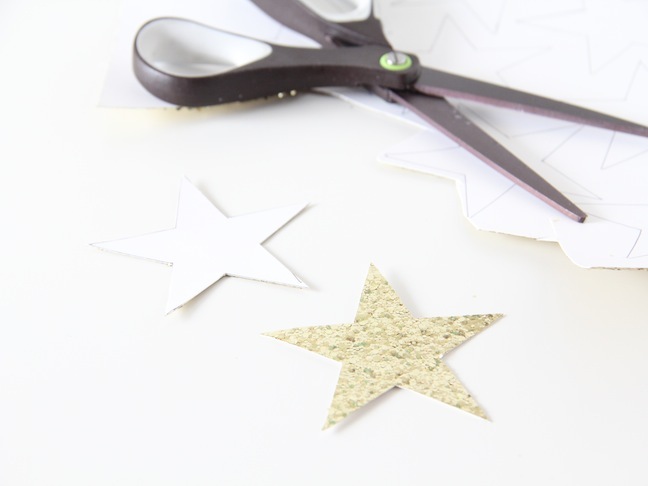 Step 1: Find your favorite star shape online and print it out onto some card stock. This will be your template! 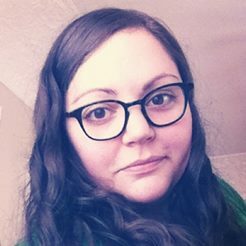 Trace it onto the back of your pretty glittery card stock. 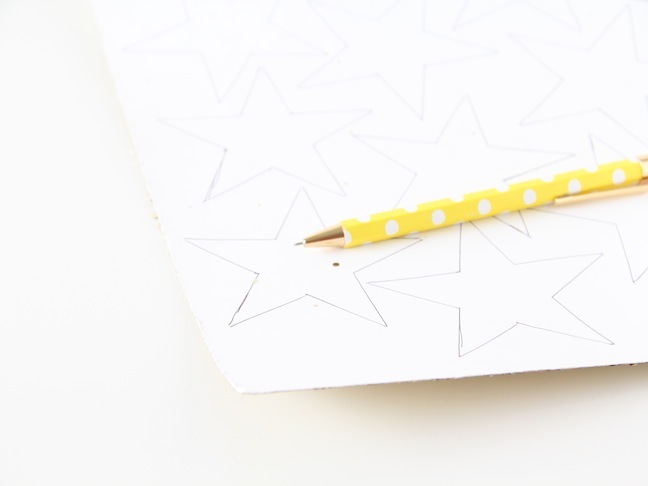 If you are using less chunky card stock, you could easily print the stars out directly onto the back of the piece of card stock. Step 2: Next, grab your scissors and cut those babies out. It's easier than you think to cut them out since they are just a bunch of straight lines. 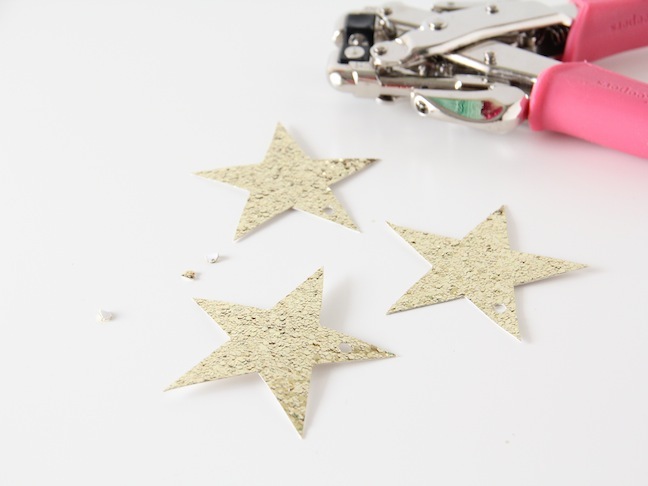 Step 3: Now grab your hole punch and punch holes toward the top of each star. You will want to try and place the holes in approximately the same place on each star so that they will lie the same once they are on the garland. Step 4: You can use pretty much any twine, yarn, or string for this part. 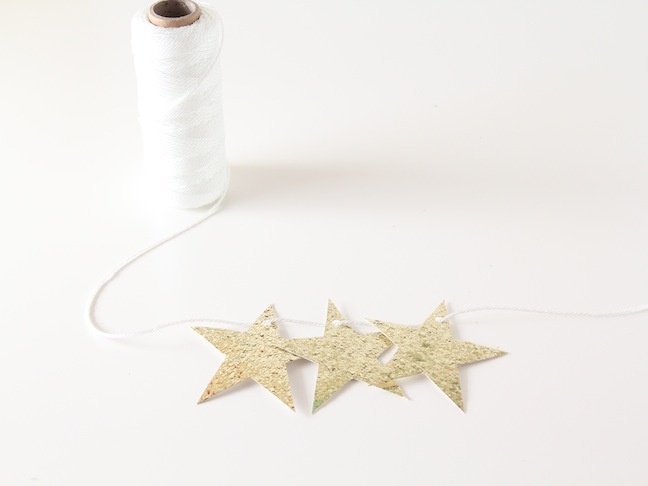 Thread your string through each hole, space them out evenly, and your new garland is ready!